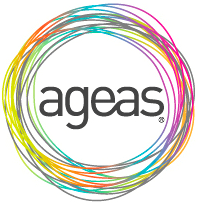 Ageas is an international insurance company with a heritage spanning more than 180 years. Ranked among the top 20 insurance companies in Europe, Ageas concentrates its business activities in Europe and Asia, which together make up the largest share of the global insurance market. These are grouped around four segments: Belgium, United Kingdom, Continental Europe and Asia and served through a combination of wholly owned subsidiaries and partnerships with strong financial institutions and key distributors around the world. Ageas operates successful partnerships in Belgium, UK, Luxembourg, Italy, Portugal, Turkey, China, Malaysia, India and Thailand and has subsidiaries in France, Hong Kong and UK. It is the market leader in Belgium for individual life and employee benefits, as well as a leading non-life player, through AG Insurance, and in the UK, it has a strong presence as the fourth largest player in private car insurance and the over 50’s market. It employs more than 13,000 people and has annual inflows of more than EUR 17 billion. Note: Prior to 2010 Aegas was part of Fortis, therefore no valid dividend history exists. Note: 2012 August 7: 10:1 share consolidation (“Reverse Stock Split”). Dividend history has been adjusted to reflect this consolidation.